Three and a half years after they last had a gig in Germany, Dir En Grey came back to have two shows there again. One in Munich and one in Cologne. This live report will be about the one in Cologne - the grand final of their Wearing Human Skin Tour in Europe! The audience started to shout as soon as they noticed the lights being turned off. The SE started and people shout to welcome every single member of Dir En Grey! Shinya (Drums) was the first to enter, soon followed by Kaoru (Guitar), who slowly walked to his side of the stage while looking around carefully. Next in line is Toshiya (Bass), followed by Die (Guitar) and last but not least: Kyo (Vocal)! Unexpectedly they played videos on the screen behind Shinya's drums. That‘s usually something Japanese bands do in Japan, but rather rare that they also implement that visual aspect in their shows overseas! The first notes of UTAFUMI are played, Kyo growls and then spreads his arms to each side as to say "Here I am!" For the next song, everything was illuminated in green. FUKAI. Kyo artistically dances to the song and came closer to the platform. Every now and then Kyo lets the fans join his vocals and the audience energetically does so! For the last notes, Kyo bows forward and the song ends. Before the next song starts, Toshiya moved to the front of the stage and makes a gesture that tells the audience to go even wilder! 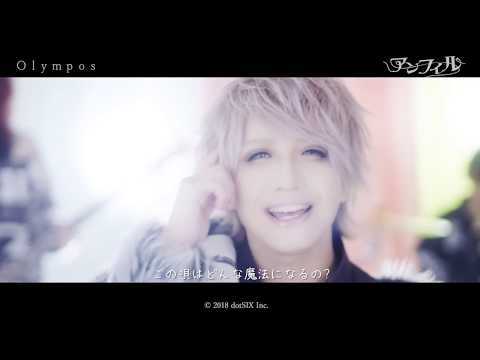 In ASH the screen behind the members shows parts of their official PV. The performance was wild! Toshiya was almost glued to the front, posing while making the fans move with his low bass lines. Kaorus solo was magnificent and Shinya leads the way to the end of the song with his significant drum play and the song ended. In WAKE the video pointed out the fabulous play of the band with the shimmering green light. A few seconds before Kaorus solo started, the screen is fading out leaving the stage in darkness. Then the spotlight is concentrated on Kaoru! The final notes of the song are strongly sung by Kyo. In the end, he was the only one still singing, while the others looked down to not take the attention from the vocalist! The energy was hot, but not just that, Kyo dropped one of his ropes and RINKAKU started to play. Kyo moved his body sexily as if he wanted to invite the fans. While Die and Shinya performed strongly and energetically, Kaoru and Toshiya seemed calmer, moving their bodies in rhythm to the beat sensually. Before the next song starts Toshiya wanted to drink some water. The fans are shouting his name and he held up his bottle. The fans continued to shout, but he doesn‘t seem convinced yet and shakes his bottle until he‘s satisfied with the screams of the fans. A few seconds before DEVOTE MY LIFE started, Die and Toshiya are illuminated by a spotlight. Toshiya supports Kyo's shouts. The audience goes along the heavy beat. KEIBETSU TO HAJIMARI started and the audience went completely wild. Aggressive headbanging, abrupt gestures with hands and a lot jumping around. Die motivated the audience to go even further and they answered his wish with clapping hands to the rhythm. Kyo shouted one last time and the next song starts. Die's solo at the beginning of PHENOMENON and Kyo's dancing according to the beat seemed nearly surreal. However, even more, surreal was Kyo when he pulled on the chord of the microphone as if he is pulled out his inner organs. He then wrapped them around his left arm, hugged it closely and then just dropped it to the ground. To make it even more dramatically he steps on top of his "inner organs" a few times aggressively. THE BLOSSOMING BEELZEBUB starts and Kyo turned around walking a few steps to the back of the stage, looking directly into a camera. The camera was connected to the screen and shows a red illuminated Kyo with cross-like contacts. A grotesque scenery, but very stunning. Next song was RANUNCULUS. A video started and you first expected it to be the official PV, but instead, it showed the translated lyrics of the song! The whole atmosphere of the stage seemed fog-like and Kyo points out his performance in hitting his chest with the microphone. In front of the singer, a spotlight turned on and illuminated him from the bottom. The video in the back ended the song with a curtain being dropped and the audience is quit for a second before they applaud. For NINGEN WO KABERU, the Japanese title for Wearing human skin, Toshiya moved to the front. 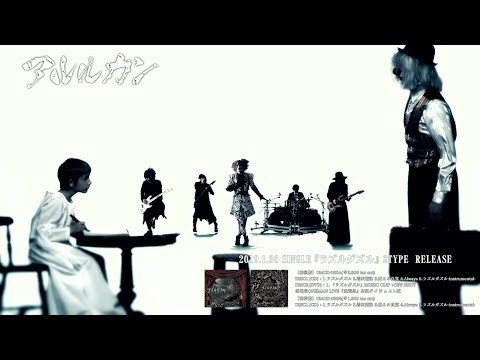 The band looked like silhouettes in front of the white screen that showed parts of the official PV. Kyo lets the audience sing twice in this song. He seemed to be satisfied and shouts "Germany!" before the last notes of the song vanished. In VALUES OF MADNESS Kyo pointed into the audience here and there, Toshiya motivated the audience to go even further, throwing his hands in the air strongly. Before THE IIID EMPIRE started the audience suddenly started to repeatedly shout "DIR EN GREY!" the mood is amazing! With the first sounds of the next song, the audience went wild! Kyo motivating them to jump again and again. He also made the audience sing parts of the song. After Kyo shouted "Spark & Spark" he moved on top of the platform and started to clap his hands which led to the whole hall joining him. The other members moved around on stage a lot: Kaoru going to Die's side, Toshiya running toKaoru'ss place while Kyo motivated the audience to go crazy. BEAUTIFUL DIRT: everyone is running around on stage, while Toshiya interacted with the fans on Die's side, all the other member are busy with aggressive headbanging. The whole song is really intense and Kyo ended it with a final cry, dropped his microphone, threw his hand in the air and then left the stage as soon as the last sound vanished. The main act was over and the fans shouted for an encore. When they returned Kyo hits his chest with his microphone. They started the encore with THE FINAL. The whole hall screamed and jumped. Everyone knows the lyrics and that‘s why Kyo just sang the first chorus and then decided to let the fans sing the second and third one. Kyo held the last note for quite a while and the audience joined him with shouts. UROKO starts and the audience turns even wilder: headbanging, abrupt hand gestures, shouts, and jumps. Kyo tore his shirt apart, opened it and looked at the people in front of him. At the end of the song Kyo pats his chest and the whole hall shouts in satisfaction. The live was getting closer to the end and Kyo repeatedly shouts out: "Germany! Germany! Last song! Last song!" and then they started the last song: RASETSUKOKU. Kyo finally dropped his open shirt, shouted "Germany!" and then started to headbang vigorously. Die, Toshiya and Kaoru were running around one last time, before everyone returned to their own place. The song was close to its end and Kyo shouted "Germany" for the last time. He turned around and showed his back with his stunning tattoos to the audience and after a few moments he turned around again and finally ended RASETSUKOKU. The members took their time to properly say their goodbye to the fans. Guitar picks were flying through the air, water bottles, drums sticks. The whole band tried to give the audiences more, even after the live was over. After everything was thrown into the crowd, one after the other said their last goodbye and left the stage. This live was really amazing! Not just the fact that they also used video elements to stress their performance, but also the amazing skills of every single member. Everything went well and I didn‘t even hear one person complaining after the live! Três anos e meio após seu último show na Alemanha, Dir En Grey voltou ao país para dois shows, um em Munique e outro em Colônia. Este Live report será sobre o de Colônia – a grande final de sua turnê Wearing Human Skin na Europa! A plateia começou a gritar assim que notou que as luzes estavam sendo apagadas. O SE começou e as pessoas gritaram para dar as boas vindas a todos os membros do Dir En Grey! Shinya (bateria) foi o primeiro a entrar, logo seguida por Kaoru (guitarra), que caminhou lentamente para o seu lado do palco enquanto olhava ao redor com cuidado. 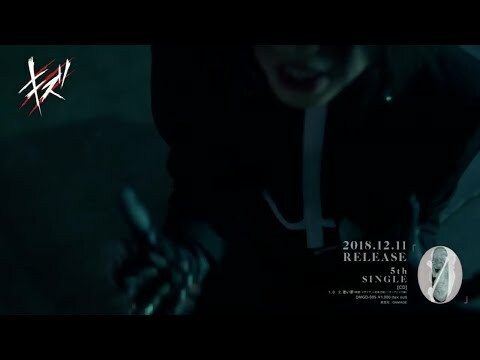 O próximo na fila é Toshiya (baixo), seguido por Die (guitarra) e por último, mas não menos importante: Kyo (vocal)! Inesperadamente, eles tocaram vídeos na tela atrás da bateria de Shinya. Isso geralmente é algo que bandas japonesas fazem no Japão, mas é raro que eles também incluam esse aspecto visual em seus shows no exterior! Os primeiros sons de UTAFUMI são tocados, Kyo rosna e depois abre os braços para os lados, dizendo: "Aqui estou eu!" Para a próxima música, FUKAI, tudo foi iluminado em verde. Kyo dança artisticamente durante a música e se aproxima da plataforma. Todos sabem a letra então Kyo deixa os fãs se juntarem aos seus vocais e o público energicamente o faz! Para as últimas notas, Kyo se inclina para frente e a música termina. Antes de a próxima canção começar, Toshiya se muda para frente do palco e faz um gesto que diz ao público para ser ainda mais selvagem! 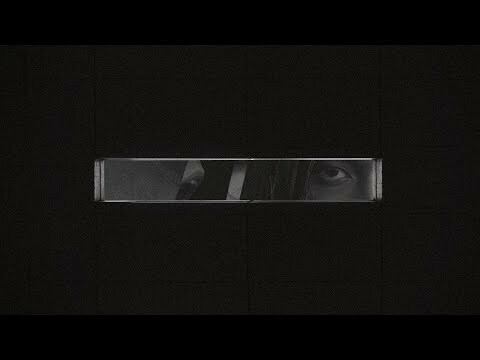 Em ASH, a tela atrás dos membros mostra partes de seu PV oficial. O desempenho foi selvagem! Toshiya estava quase colado à frente, posando enquanto fazia os fãs se moverem com suas linhas de baixo. O solo de Kaoru foi magnífico e Shinya lidera o caminho até o final da música com sua bateria significante. Em Wake, o vídeo mostra a fabulosa apresentação da banda com uma luz verde cintilante. Alguns segundos antes do solo de Kaoru começar, a tela começa a desaparecer, deixando o palco na escuridão. Então o foco está concentrado em Kaoru! As notas finais da música são fortemente cantadas por Kyo. No final, ele era o único que ainda cantava, enquanto os outros olhavam para baixo para não tirar a atenção do vocalista. O clima estava quente, mas não apenas o clima, Kyo soltou uma de suas cordas e RINKAKU começou a tocar. Kyo moveu seu corpo sensualmente como se quisesse convidar os fãs. Enquanto Die e Shinya se apresentavam forte e energicamente, Kaoru e Toshiya pareciam mais calmos, movendo seus corpos no ritmo da batida sensualmente. Na pausa antes da próxima canção, Toshiya queria beber um pouco de água. Os fãs estão gritando seu nome e ele levanta sua garrafa. Os fãs continuam a gritar, mas ele ainda não parece convencido e balança a garrafa até estar satisfeito com os gritos da plateia. Alguns segundos antes de DEVOTE MY LIFE começar, Die e Toshiya são iluminados por holofotes. Toshiya sustenta os gritos de Kyo. A audiência acompanha a batida pesada. KEIBETSU TO HAJIMARI começou e o público ficou completamente louco. Bate cabeça agressivo, gestos abruptos com as mãos e muita gente pulando. Die motivou o público a ir ainda mais longe e eles responderam ao seu desejo batendo palmas ao ritmo. Kyo gritou uma última vez e a próxima música começa. Die solo no começo de PHOENOMENON e Kyo dançando de acordo com a batida parecia quase surreal. No entanto, ainda mais surreal foi Kyo quando ele puxou o acorde do microfone como se ele estivesse puxando para fora seus órgãos internos. Ele então os envolveu em torno de seu braço esquerdo, abraçou-os e depois simplesmente os jogou no chão. Para tornar tudo ainda mais dramático, ele pisa em cima de seus "órgãos internos" algumas vezes de forma agressiva. THE BLOSSOMING BEELZEBUB começa e Kyo se vira andando alguns passos para a parte de trás do palco, olhando diretamente para uma câmera. A câmera foi conectada à tela e mostra um Kyo vermelho iluminado com contatos em forma de cruz. Um cenário grotesco, mas muito impressionante. A próxima música foi RANUNCULUS. Um vídeo começou e você esperava que fosse o PV oficial, mas mostrou a letra traduzida da música! Toda a atmosfera do palco parecia um nevoeiro e Kyo mostra seu desempenho ao bater no peito com o microfone. Na frente do cantor, um holofote se acendeu e o iluminou de baixo. O vídeo na parte de trás terminou a música com uma cortina sendo cortada e o público para por um segundo antes de aplaudir. Para NINGEN WO KABERU, o título japonês de “Wearing human skin”, Toshiya mudou-se para frente. A banda parecia com silhuetas na frente da tela branca que mostra partes do PV oficial. Kyo deixa o público cantar duas vezes nessa música. Ele parecia estar satisfeito e grita “Alemanha!” antes que as últimas notas da música desaparecessem. Em VALUES OF MADNESS, Kyo apontou para a plateia aqui e ali, Toshiya motivou o público a ir ainda mais longe, jogando suas cabeças no ar com força. Antes que THE IIID EMPIRE começasse, o público de repente começou a gritar "DIR EN GREY! ", o clima é maravilhoso! Com os primeiros sons da próxima música, o público ficou louco! Kyo os motivando a pular de novo e de novo. Ele também fez o público cantar partes da música. Depois que Kyo gritou “Spark & Spark”, ele se moveu em cima da plataforma e começou a bater palmas, o que levou a todo o salão se juntar a ele. Outros membros se moveram muito no palco: Kaoru indo para o lado de Die, Toshiya correndo para Kaoru enquanto Kyo motivava o público a ficar louco. BEAUTIFUL DIRT: todo mundo está correndo no palco, enquanto Toshiya interagiu com os fãs no lado de Die, todos os outros membros estão ocupados com bate cabeças agressivos. A música toda é realmente intensa e Kyo terminou com um grito final, largou o microfone, jogou a mão no ar e depois saiu do palco assim que o último som desapareceu. O ato principal acabou e os fãs gritaram por um encore. Quando eles retornaram, Kyo bateu em seu peito com seu microfone. Eles começaram o encore com THE FINAL. O salão inteiro gritou e pulou. Todo mundo conhece a letra e é por isso que Kyo, ao acabar de cantar o primeiro refrão, decidiu deixar os fãs cantarem o segundo e o terceiro. Kyo segurou a última nota por um bom tempo e o público se juntou a ele com gritos. UROKO começa e o público fica ainda mais selvagem: bate cabeça, gestos de mão abruptos, gritos e pulos. Kyo rasgou a camisa, abriu e olhou para as pessoas à sua frente. No final da música, Kyo dá um tapinha no peito e todo o salão grita de satisfação. O show estava chegando perto do fim e Kyo gritou repetidamente: “Alemanha! Alemanha! Última música! Última música!” e então eles começaram a última música: RASETSUKOKU. Kyo finalmente soltou sua camisa aberta, gritou "Alemanha!" e então começou a bater cabeça vigorosamente. Die, Toshiya e Kaoru estavam correndo uma última vez, antes de todos retornarem aos seus próprios lugares. A música estava perto do fim e Kyo gritou "Alemanha" pela última vez. Ele se virou e mostrou as costas com suas tatuagens impressionantes para o público e depois de alguns momentos ele se virou novamente e finalmente terminou RASETSUKOKU. Os membros aproveitaram seu tempo para dizer adeus aos fãs. Palhetas voavam pelo ar, garrafas de água, baquetas. A banda inteira tentou dar ao público mais, mesmo depois que o show acabou. Depois que tudo foi jogado na multidão, um após o outro disse seu último adeus e saiu do palco. Este show foi realmente incrível! Não apenas o fato de que eles também usaram elementos de vídeo para enfatizar seu desempenho, mas também as incríveis habilidades de cada membro. Tudo correu bem e não ouvi nem uma pessoa reclamando depois do show!